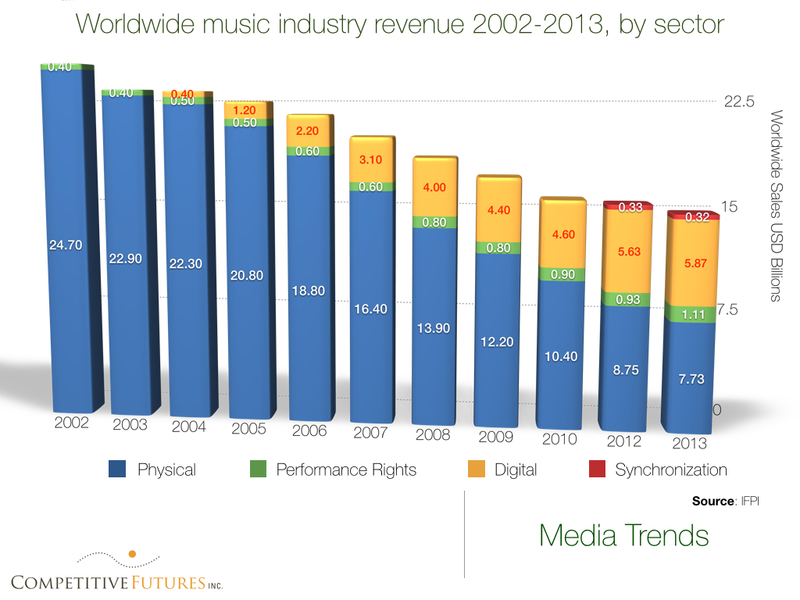 The above trend indicates where the recorded music business has been heading – ever downward. But place it in context of global video game spending, which is larger by a factor of six. Has the collective consciousness caught up with how much more important gamers are compared to music fans?